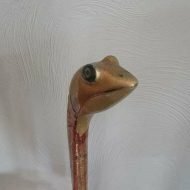 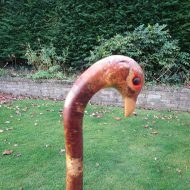 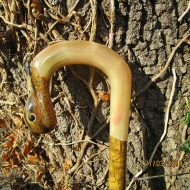 Home › Decorated Sticks › Rams horn Jack snipe. 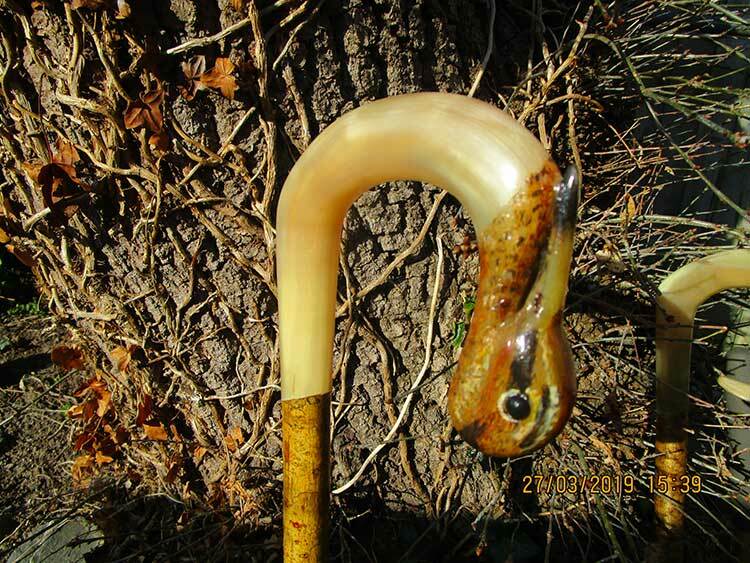 Welsh mountain rams horn Jack snipe. 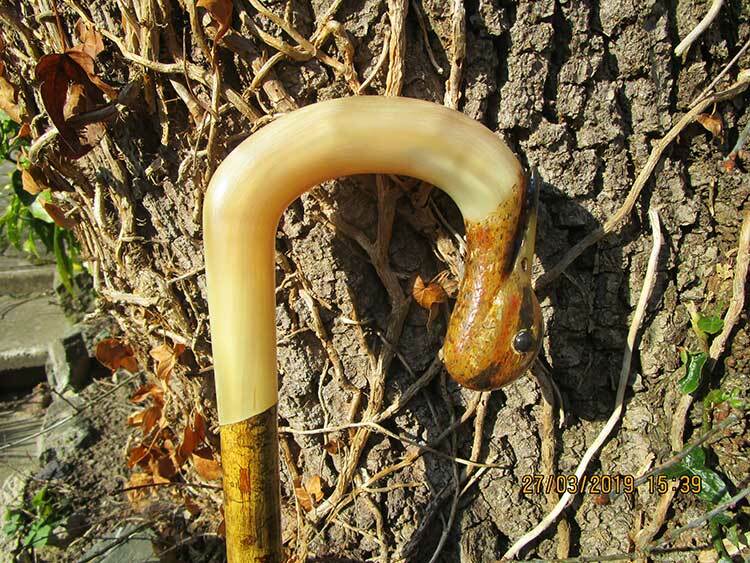 Carved from a single horn of outstanding quality. 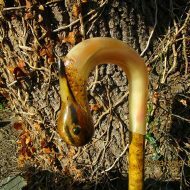 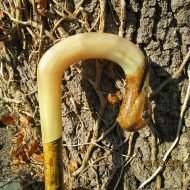 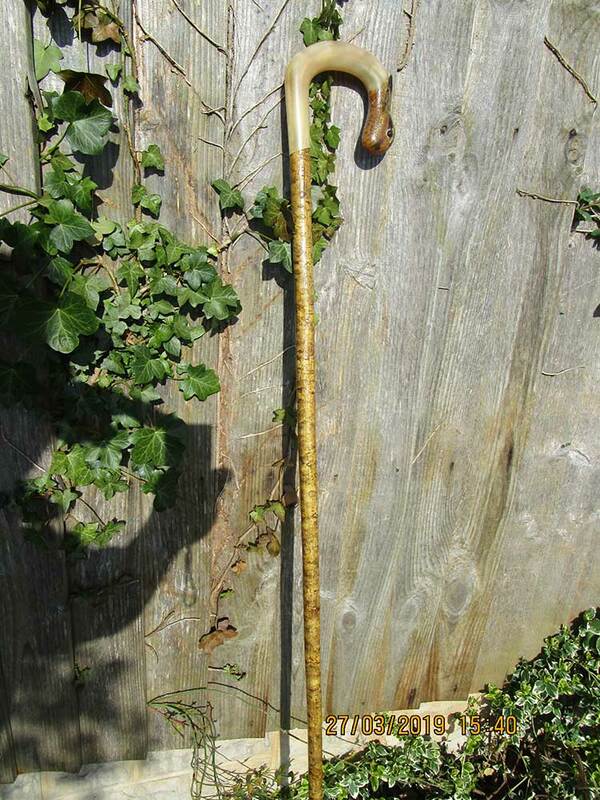 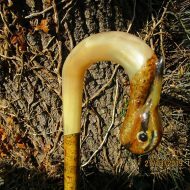 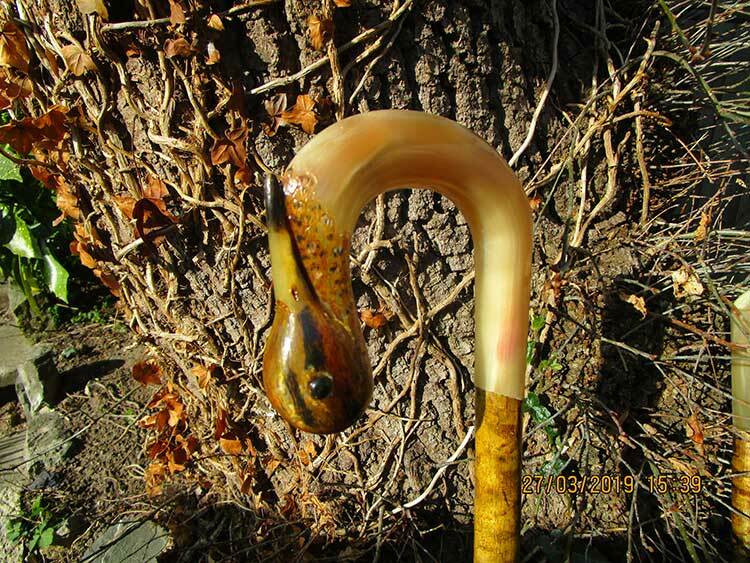 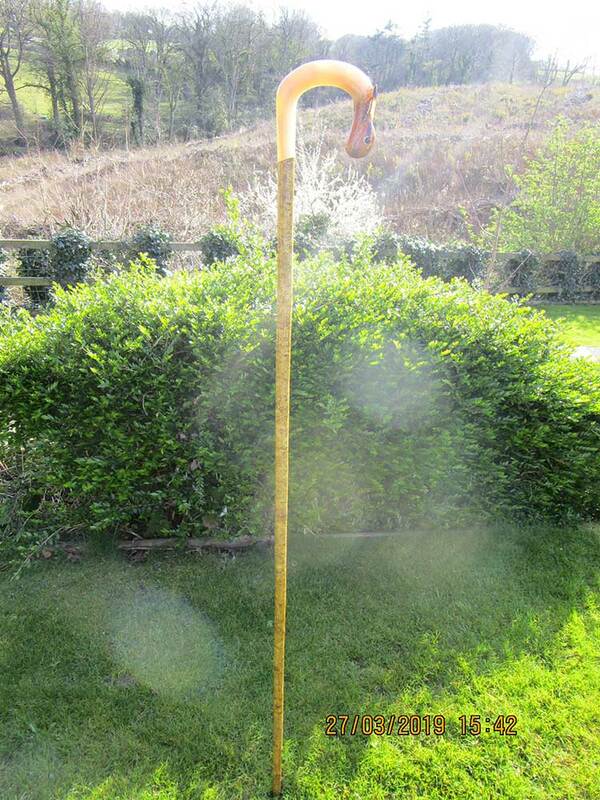 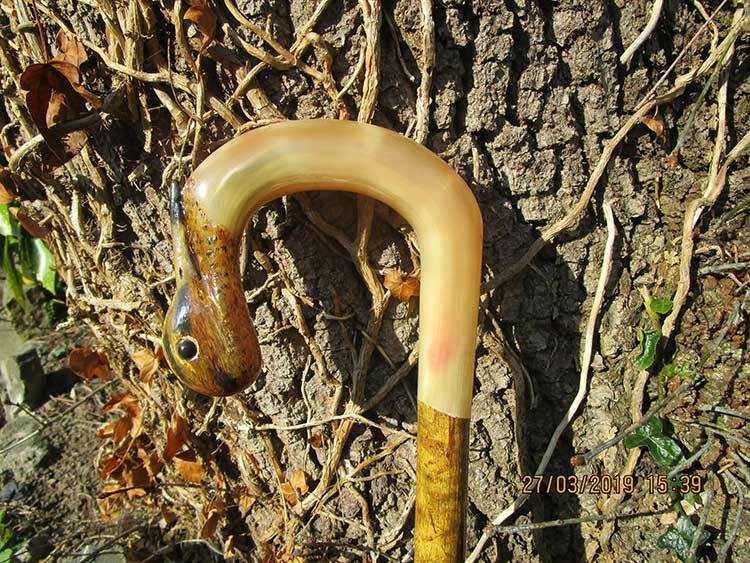 The shank is superbly mottled hazel and the total stick length is 53″. 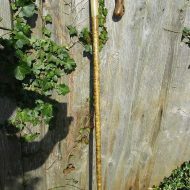 Fitted with a brass ferrule. 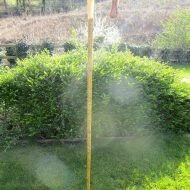 Can be shortened to buyers instructions.